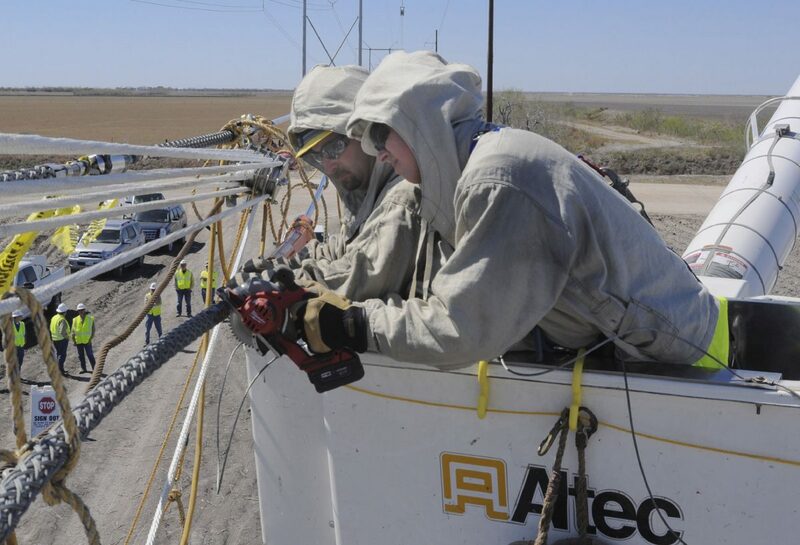 AEP employees are seen working on transmission lines. AEP Transmission upgraded two 345-kv AEP transmission lines from the Corpus Christi area into the Rio Grande Valley by installing a new conductor. McALLEN — Thousands across the Rio Grande Valley were without power. Voltage concerns caused outages in McAllen, Edinburg, Harlingen and San Benito. That growth has been indisputable, which is why, three years after those rolling blackouts and more than $1 billion, the system has transformed. A joint venture between subsidiaries of AEP and the Berkshire Hathaway Energy Company, ETT acquires, constructs, owns and operates transmission facilities within ERCOT, primarily in and around the AEP Texas Central Company and AEP Texas North Company service territories. A long transmission line was constructed to supply power to the Valley that goes through the western side of South Texas that was energized last summer, Fox said, and cost roughly a half billion dollars. Before, the only lines coming to the Valley came from Corpus Christi. This new line is not exposed to potential coastal problems; it’s an entire new wing of power. “A hurricane comes in, you’re not wiping out an entire grid of power,” Fox said. There are plenty of ongoing improvements to the region’s electric grid. A 225 megawatt natural gas-fired plant in Hidalgo County and a 95 megawatt wind generation facility in Cameron County will help address transmission system stability needs. One additional 230 megawatt wind generation project in Willacy County is slated for completion by the end of 2017, while a 200 megawatt wind generation facility in Starr County is expected to be ready in 2018. A proposed gas-fired generation project worth 871 megawatts in Cameron County is looking at a 2020 completion. ERCOT and AEP Texas, which work together closely, continue to plan 10 years in advance. The Valley has grown significantly and the amount of money poured into various projects in the region suggests that growth isn’t expected to subside. What’s Fox’s forecast for the future of the Valley? “It’s going up,” he said. This story was updated to reflect that Kip Fox is the president for Electric Transmission Texas, or ETT, which is a joint venture between subsidiaries of AEP and the Berkshire Hathaway Energy Company.